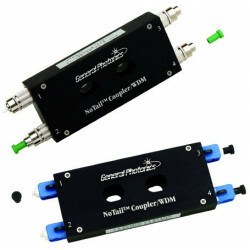 The polarization maintaining filter coupler can either split the light from an input PM fiber between 2 output PM fibers, or can combine light signals from 2 PM input fibers into a single PM output fiber. The device can be used to split high power linearly polarized light into multiple paths without perturbing the linear state of polarization (SOP). It can also be used as a power tap to monitor signal power in a PM fiber system without disturbing the linear SOP of the light propagating in the PM fiber. 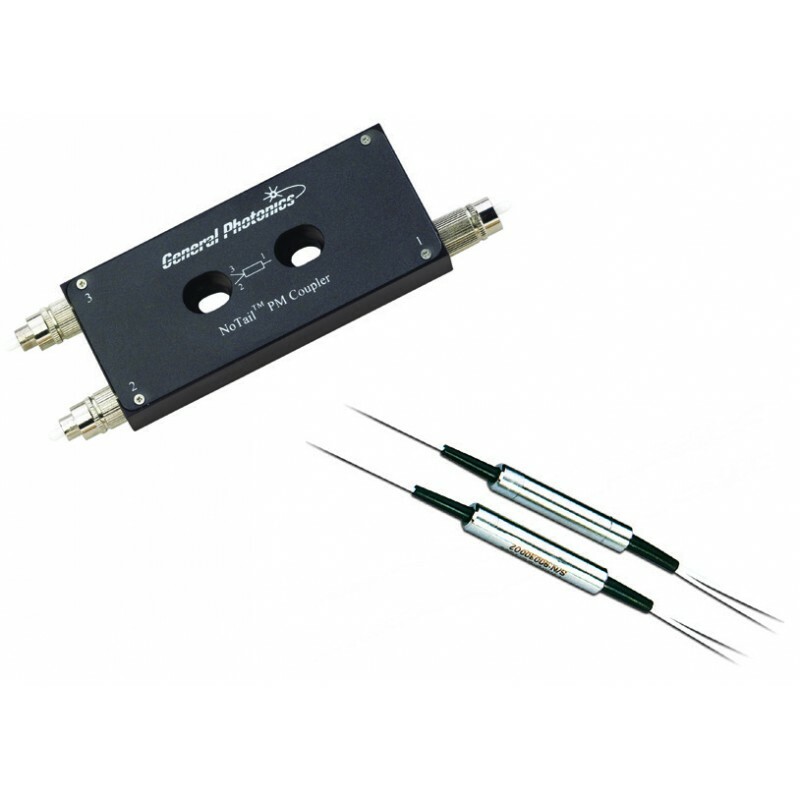 Applications include PM fiber interferometers, power sharing in polarization sensitive systems, and signal monitoring in PM fiber systems. 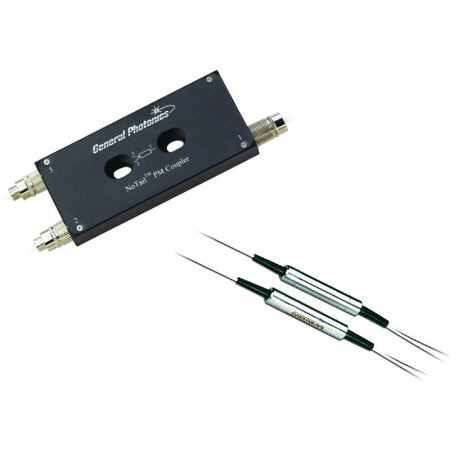 The rugged stainless steel package is designed for high optical performance and stability. This compact device offers low excess insertion loss, low back reflection, and high extinction ratio. Split ratios from 1 to 50% are available.